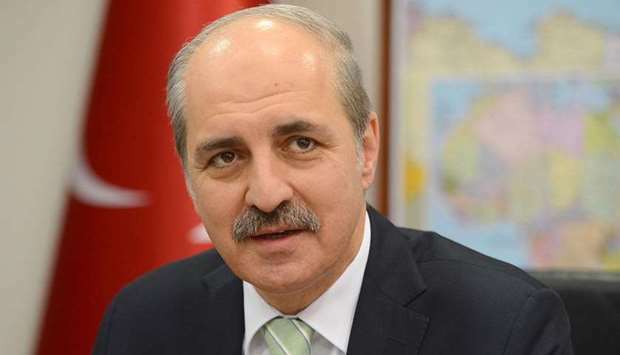 Turkey's Deputy Prime Minister Numan Kurtulmus has said the ongoing crisis in the Gulf has nothing to do with the Turkish military base in Qatar, Al Jazeera reports. "Turkey's military base in Qatar is not just for Qatar's security, but for the security of the whole [Gulf] area. Turkey has a base there as part of the area’s safety. The presence of Turkish soldiers will remain," he told reporters following a cabinet meeting in the capital, Ankara. "Linking the [Gulf] crisis with the Turkish base is wrong. The tension and dispute between the Gulf countries is completely irrelevant [to the base]." Alpha Conde, chairperson of the African Union and president of Guinea, has called for a peaceful end to the Gulf diplomatic dispute, Al Jazeera reports. Conde was speaking at the opening of the 29th African Union summit in the Ethiopian capital, Adis Ababa. He also said Africans must have one voice about the crisis. Former CIA director and retired general David Petraeus has said Qatar hosted delegations from both Hamas and the Taliban at the "request" of the US, Al Jazeera reports. "Our partners should remember that Qatar - at our request - welcomed delegations from the Taliban and Hamas, and that Qatar is now home to our military headquarters for our operations throughout the Middle East," Petraeus told French newspaper Journal du Dimanche.